Looking for your next home away from home? Explore properties for sale and learn more about becoming a member! 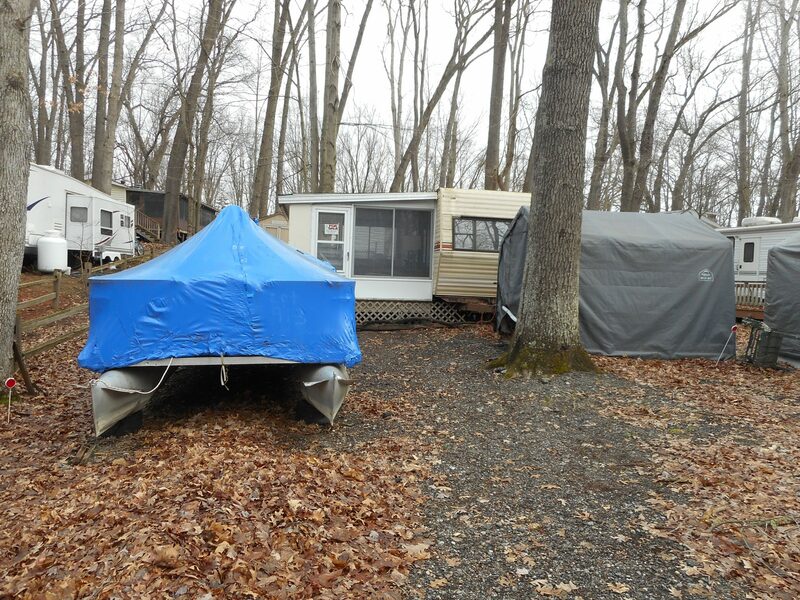 Home into a site with an established trailer, landscaping, storage, and often some extras! Contact the Sales Office at 616-896-8315 to schedule a walk-through of any property you would like to tour. (616) 896-8315 ext 113 for Kathy or ext 114 for Nick. Become part of an engaging R.V. Resort and Campground featuring more than 800 acres of family fun and amenities. Tucked away in the woodlands of western Michigan, Sandy Pines is one of Michigan's most popular family vacation destinations. Join us for relaxation, friendship, and family togetherness. Sandy Pines has partnered with RDI Homes to offer beautiful condos nestled within the trees. As you become a proud resident of this development, you'll also become a member of Sandy Pines, which affords you the opportunity to enjoy the many activities and amenities offered by the resort. Sandy Pines Wilderness Trails, Inc. is a member owned, Michigan non-profit, R.V. Resort and Campground which encompasses 813 acres, not far from your home and close to many tourist attractions in Southwest Michigan. Our park includes our own 262 acre "Lake Monterey", 24 hour year round security, 23 miles of paved roads, 13 heated Convenience Centers, first aid center, 4 coin operated laundromats, facilities for supplying gasoline and bottled gas, 2 waste disposal stations, outdoor pools, ice cream parlor, hardware store, beauty shop, snack shop, clothing store, open air Chapel with regular Sunday worship services and evening concerts and a summer recreational program for all ages. Our Recreation Station which includes three heated outdoor pools, waterslide, splash pads, arcade center, fitness center, snack shop, and all purpose room. There is also an air-conditioned pavilion and three open air pavilions. Enjoy our many playground areas, tot center, lighted tennis courts, basketball, shuffleboard, horseshoe, bocce ball, volleyball courts, miniature golf, disc golf, soccer field, ropes course, remote control car tracks, baseball diamond, adjacent 18 hole golf course, nature/fitness trails, snowmobile trails and a dog park. Go fishing, water skiing, swimming, cross country skiing, bicycling or ice skating. Relax with cable television, wireless internet or a book from the library. Sandy Pines also offers camping sites and vacation rentals. We do not give out day passes. You need to make an appointment with the Sales Agents or have a member of the park sign you in as a guest.